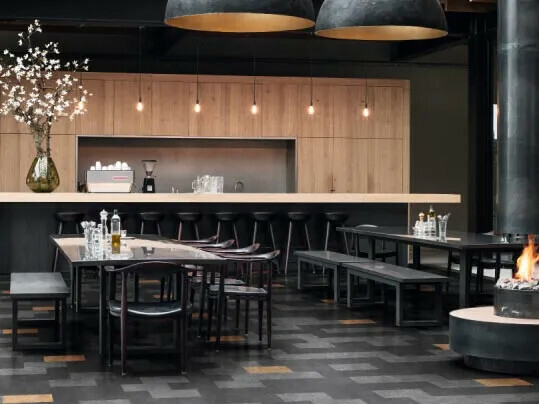 Finding a floor covering for food service areas that is both easy to clean yet still aesthtically appealing can often be a difficult task. From our general purpose vinyl collection to our luxury vinyl tile ranges, optimum performance no longer means compromising on looks or style. 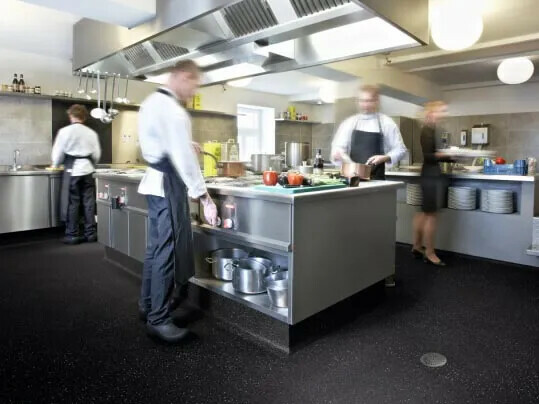 For food preparation areas where addtional slip resistance is required, our Step safety vinyl collection offers a range of HSE compliant floor coverings. 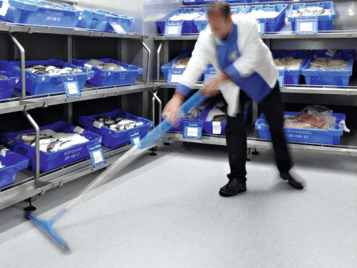 Forbo’s Step safety vinyl can be used wherever people work, learn, play or go about their daily business as slip resistance is a key consideration in the creation of safe working, living and public environments. 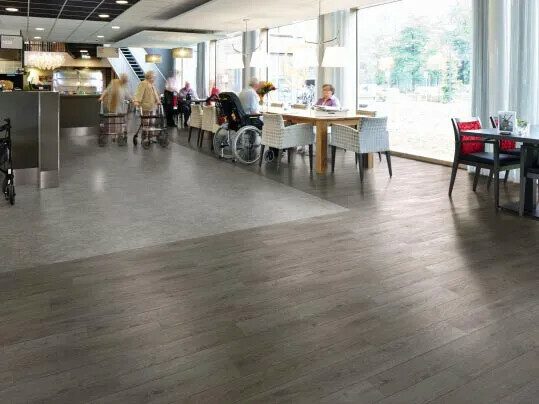 Step safety vinyl is a range of HSE compliant floor coverings offering R10 to R12 slip resistance, giving you peace of mind about safety underfoot in spillage prone areas. purpose vinyl collection you’ll discover a superb combination of state of the art designs in a strong, durable, fit-for-purpose range whatever your application. The collection presents a balanced range of wood, stone and abstract designs, alongside a comprehensive, modern colour palette sure to complement your interior design. 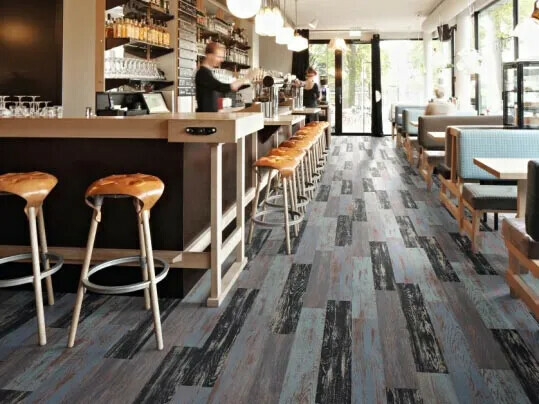 The all new Forbo Allura collection presents the ultimate in realistic natural and abstract designs that have been created with state of the art production techniques and processes to create the most realistic and natural material expression in luxury vinyl tiles. Produced and designed in Europe, Allura offers eye catching design along with exceptional performance and sustainability credentials. Marmoleum, our sustainable flooring solution, offers a wealth of colour options, superior scuff and scratch resistance, coupled with the possibility to repair damaged surfaces.